In the past year, Honma has made clear their commitment to making a focused push into the U.S. market as it pertains to availability. However, the introduction of the Tour World lineup alone did not feature the entirety of what the company aims to provide golfers who try their equipment. Now, they are beginning the push of their other line, Be ZEAL. Focused on playability for golfers of all skill levels, the name of the game here is launch, speed, and distance in a package that makes the game more enjoyable for the average player. THP was able to take a closer look at the utility/hybrid irons from the Be ZEAL line with the U22 model paired with the S-Flex Vizard shaft. One certainty when it comes to the aesthetics of a Honma golf club is that it is going to be classic from address and feature a modern geometric Japanese style look on the sole, and the Be Zeal U22 hits those marks spot on. It is a larger overall footprint which looks almost more like a miniature fairway than a hybrid, but the shape is balanced and not bulbous which makes it comfortable to the eye. The crown is finished out with a single simple alignment aid atop the beautiful throwback deep metal-flake paint. Flipping the club over, it fits in line with most of the Japanese offerings we see stylistically, and the use of a bright yellow makes it stand out from a distance in the bag, but might be a bit busy for some. From here, the eyes take note of the raw (non-black) face with a more rounded profile absent of the high-square toe we see on so many utilities now, that face combined with the crown and general size allow for a pleasantly consistent setup behind the ball. Also worth noting is the round nature of the sole which features a slight keel to aid in its versatility despite the large overall footprint. In order to gain a better understanding of what is going on with the design traits of the Be ZEAL line, it is worth taking a more focused look at some of the technology Honma has implemented into the clubhead. As mentioned previously, the Be ZEAL line is absent of any sort of adjustability but internally the three different lofts have been optimized via what Honma refers to as their “Weight Flow Design”. Simply put, the CG of each of the heads has been altered through weight placement low in the clubhead with the sole intent being easy launch for each specific loft while still maintaining a ball flight that maximizes distance potential. 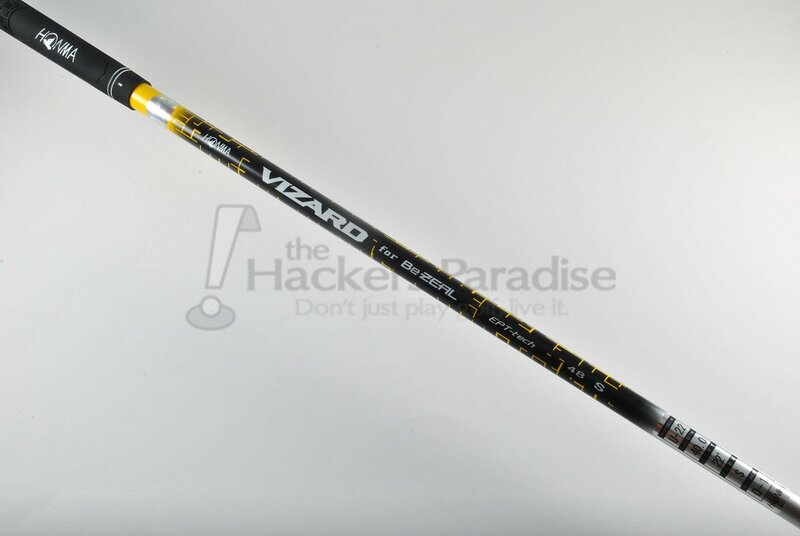 As mentioned in the several Honma reviews THP has done so far, the Vizard line of shafts spares no expense or quality from the company and simply falls in line with their intent to pair the perfect shaft with their head designs to meet the performance goals of that line. For the Be ZEAL lines, they are equally as important as the heads. 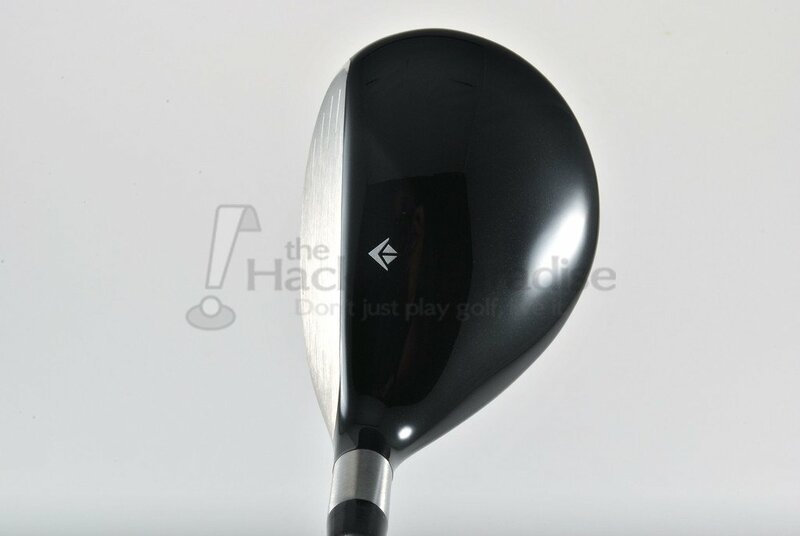 In the fairway the focus is on a super-light shaft (47.5g total in the U22 THP reviewed) that maximizes energy transfer. To do this, the shaft is uses a low kick point and is designed as one piece to offer as constant of a stiffness/feel that could be managed. All this equates to a shaft that has got a lot of “kick” to it and wants to help elevate the ball and maximize distances. Though some might fear the shaft “holding up” at the weight they come in, this reviewer saw no inconsistencies or accentuated misses during testing with what certainly falls into the higher SS range. The Be ZEAL U22 hybrid was placed into the hands of multiple golfers across the handicap/skill spectrum and it consistently proved to be a pleasant surprise for those who hit it. Based on the larger footprint and description of the Be ZEAL line as the more “game-improvement” style, there were a lot of preconceptions which one by one got stripped away as it was put through testing. Initial thoughts might be that the club would set up closed and potentially be noticeably draw biased, but that is far from reality. The U22 sets up very neutral to this reviewer’s eye, and more than that, the ball flight was neutral as well. The common fear for some with larger and more GI style hybrids is the propensity for them to be easy-to-hook, the Be ZEAL though proved to be not only neutral, but workable both ways and in fact it was easy to hit left to right (for RH reviewer). Additionally, Honma has put massive emphasis on the Be ZEAL line for being as playable as possible, and in the hybrids that meant progressive sizes and internal weight placement to maximize the center-of-gravity for each head to offer high initial launch angles that work to a high overall peak height. The reality is, most golfers don’t hit the ball as high as they think, and when it comes to hybrids and fairways, a lower flight makes it very hard to hit those clubs into greens and hold the putting surface. The Be ZEAL U22 did a tremendous job of rectifying this as everyone who hit it saw a high launch and flight but even with stronger swingers the flight never hit the point of ballooning or diminishing returns. The higher launch/flight is going to be the big selling feature for the Be ZEAL hybrids at first glance, but the real surprise of the design for this reviewer was with the spin. The overall spin numbers seen off of the head were much lower than anticipated, and combined with the impressive initial launch makes this much more of a point-and-shoot hybrid than a shot-makers design which makes perfect sense in a more GI type design. While low spin in a hybrid tends to scare some, the high launch/flight allowed for sharper decent angle into greens that let it be hit into pins with little fear of releasing through the surface. Naturally though, when it comes to hybrids the main curiosities for golfers are always distance potential and playability. For distance, the previously discussed high launch/flight combined with the low spin and ultra-light shaft let this fully stainless-steel design hit the typical hybrid distance gaps one would expect. This means that it plays longer than a direct iron replacement gap-to-gap in the opinion of this reviewer, but its distance makes it a much more playable option than a long iron is going to be for most amateurs. There is ample forgiveness thanks to the weight placement in the large overall footprint that really allowed for the feeling of getting away with misses one probably should not, laterally on the face and on the heel side in particular it really showed what it is capable of. 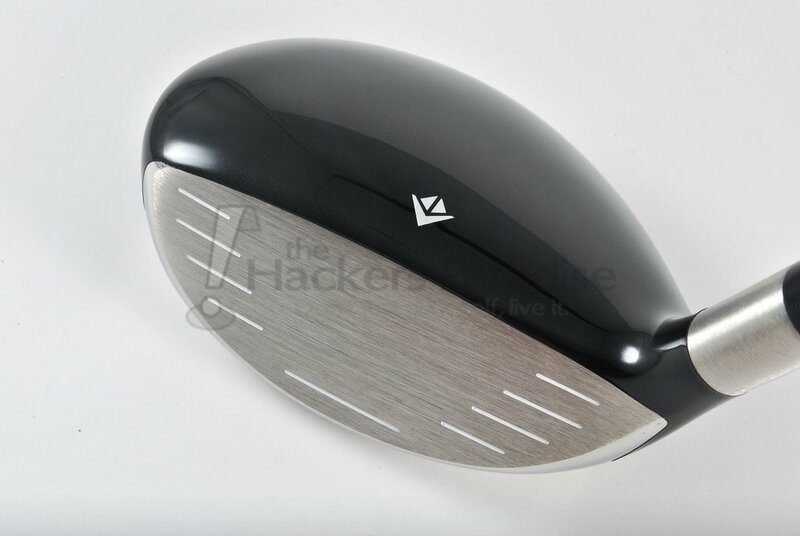 Mix into this the decision to give the design a bit of a “keel” or roundness to the sole let it cut through the rough well despite the large footprint, but thankfully the more rounded face (meaning no squared off toe) keeps the face tight to the surface when hitting off tight lies. The U22 hybrid was undeniably the show stealer of the clubs that this reviewer was able to work with from the Be ZEAL lineup. The absolute focus of Honma here was to do things that would facilitate making it a fun and useful club for golfers who need help in the areas of launch, speed, and forgiveness. With that said, it proved to be the head turner because it worked equally well in the 22° spot for even the better players thanks to its overall neutrality and outright consistency. The Be ZEAL line may not feature the flashy materials or catchphrases of other clubs on the market right now, but if they can be found in your area they are certainly worth a look. 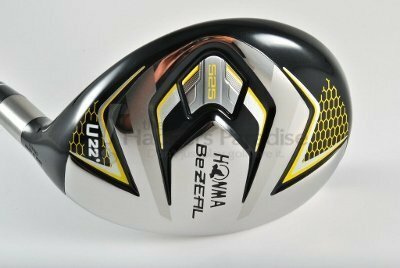 For more information on the Be ZEAL line, and other Honma offerings, please visit their website www.honmagolfusa.com. Contest: Two Drivers, Twenty Five Years Apart, What Were the Results? Great review James. Foregiveness and neautrality stuck out as keys to me. Was just thinking about this offering from Honma and boom..in comes the solid review. It looks like the show stealer from the lineup. Thanks for all the input James. Nice work James. 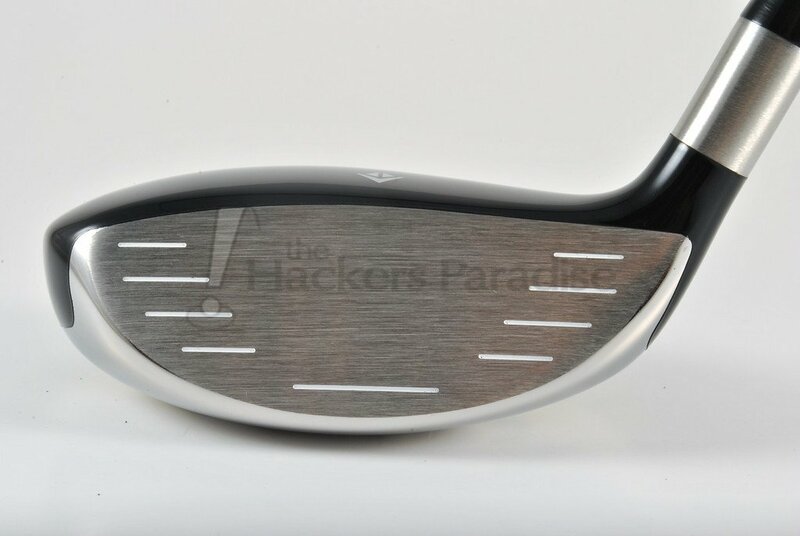 I agree that this club looks fantastic at address, substantially different from the skinny Apex I’m accustomed to in that hybrid slot. Now if only I could hit this…for some unknown reason all I can share is that the sole is not forgiving…at all. Good stuff, Jman. Sounds like a great all around hybrid. Nice review James. I like the neutral face and flight, as a higher handicap I don’t worry so much about curving the ball as I do just wanting the ball to go somewhere near where I’m aiming. Sounds like a solid club. Fantastic write-up James. I like the looks of this one. It brought the ponder up when you said that these launch high and hold greens, as a lower ball hitter this is information that I really like to read when looking at potential hybrids. Great information and write up! Any idea on the starting cost of this club?